What can a ‘Mechanical Home’ teach us about ‘The Medical Home’. Do you remember how you felt when you first took delivery of a brand new car? Did you wash it every week? Were your kids banned from eating and drinking in it? Were you careful when parking to avoid pulling up next to a car that looked uncared for. Those slackos would be just the type to fling their doors open willy-nilly and dent your car. For me, that ‘new car’ memory. 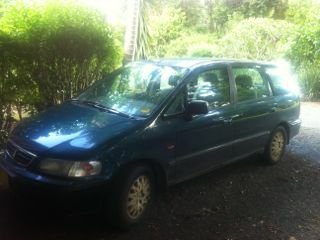 is now 290,000 km and 14 years distant. My car is now the one that you would avoid parking next to. My friends say that a family of four could survive on the McDonalds scraps lying around m my car. I think that is an exaggeration – they would be very hungry after three days. My family call it the big green wheeley bin. I must admit I have been tempted to leave it out the front on Thursday night and see if the garbage truck could pick it upside down and give it a shake. I have been thinking about this because of the recent interest in the model of the Patient Centred Medical Home. 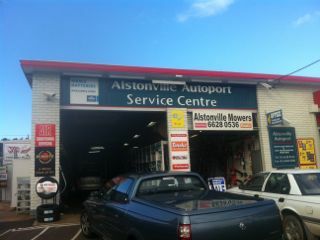 The Alstonville Autoport is my car’s ‘Mechanical Home’. Because of the excellent care it receives there, it continues to chug long despite it’s considerale age (like most of my patients). The features that make the Alstonville Autoport successful are exactly the same as the features that have been demonstrated to make a difference in medical care. I have known Robert and Shane at the Alstonville Autoport for a long time. They understand my requirements for my car (keep it going without spending too much). No doubt, other customers have different needs, (make it perfect).Being known makes me feel special when I am there, and somehow they have the self control to refrain from rolling their eyes at the state of the wheelie bin. My reltaionship with the Autoport has changed over time. As my car has developed more co-morbidities, my relationship with the Robert and Shane has become more important to keeping me on the road. Robert and Shane look after my wife’s car, our lawn mower, and the whipper snipper, which improves their understanding of our situation and needs. A few weeks ago, it kept cutting out. I found that if I held the key in the start position, the engine would keep running. After driving around for a few days with one hand holding the key, I took it into Robert, I had no idea whether that was an electrical problem, a mechanical problem, or an engine problem. I didn’t know whether it required a locksmith, a mechanic, or an auto-engineer. Luckilly, that doesn’t matter. The boys will sort out what needs to be done. There are other members of the Alstonville team apart from Robert and Shane. This alllows them to better leverage their time, and increase the range of other skills available in the workshop. In addition, there is a ‘team’ of local specialists (panel beaters and auto-electricians, for example) with whom they have an ongoing relationship and can call upon when special expertise is required. The role and goal of every member of the team is clear, and communication is timely. I think that it is important to note that ‘the Mechanical Home’ is not the same as a ‘One Stop Shop’. Not all possible services a available in the Autoport itself, but it offers general , whole-of-car care, and makes the ‘journey’ through the auto-repair system easy to navigate. In fact, since it is about relationships, to some extent ‘small is beautiful’. The Autoport is open long hours, and they are happy to leave my car out for me if I finish work even later than they do. I can book ahead at a time that is convenient for me, and when the is an urgent problem I can just rock up. Unfortunately, urgent problems don’t always occur in business hours. Luckily for me, the autport also act as the local NRMA service team. So 24 hours a day, if something goes wrong, anywhere in the region, it will be Robert or Shane who turn up to fix it (or tow it away). Last year, the oil warning light kept coming on. I checked the oil on a few occasions, but it was full, so I assumed the light was broken. The car eventually conked out. When I pushed it into the workshop, Shane was happy to show me that I had in fact spent the last five years checking the transmission fluid, rather than the oil, and taught me how to do it correctly. They are always happy to increase my mechanical literacy. There is a well defined ‘care calendar’ for my car. The date of my next service and oil change is stuck on the windscreen (Perhaps I should try the sticker on the forehead technique with my patients). If I ignore that, the RTA will send me a ‘reminder’ of my annual pink slip check in the mail. The Autoport has a comprehensive electronic record of everything that has ever happenned to my car. This is part of receiving an itemised account. In addition, my car has a unique identifier (the license plate number) that allows linkage of my roadworthy certificate (pink slip), insurance certificate (green slip) and registration. When I go to the RTA site it has received information from the Autoport and the NRMA and allows me to register my car without going down to the office in Ballina. Standardized processes and interoperable systems ensure that this linkage all just works no matter what service station I attend, and no matter what insurance company I use. This IT system has already been in place for some years. Realationships over time, comprehensive team based care, excellent access, systems for proactive care and good IT systems are the fundamental features of the Medical Home. The presence of these factors has been demonstrated to improve mortality in chronic disease management. Robert and Shane and their extended families are patients of our clinic. I aspire to look after their families as well as they look after mine.